I was in New York City the weekend of the New York Marathon for work. I was visiting one-of-a-kind schools that I wanted to learn more about and, if possible, replicate in the Philippines. One was the Quest to Learn and the other was the High School of Art and Design. I also attended the PhilDev forum on Science and Technology Innovations in Education. So it was totally by chance that I found myself in the City that does not sleep on the ever so exciting weekend of the New York Marathon. I can’t describe the feeling, but running through the park is like getting a shot of mega-vitamins straight through your veins that causes your body to tingle, to feel light and strong at the same time. It gives me a sense of inner peace, it rejuvenates me, and always brings back a torrent of happy memories of my younger days when my dad was still alive, my brothers were little and I left to live in New York City. Years after, when I was a law student in the University of the Philippines, I was back spending summers in New York, earning my keep as a paralegal in a big New York law office in Madison Avenue. 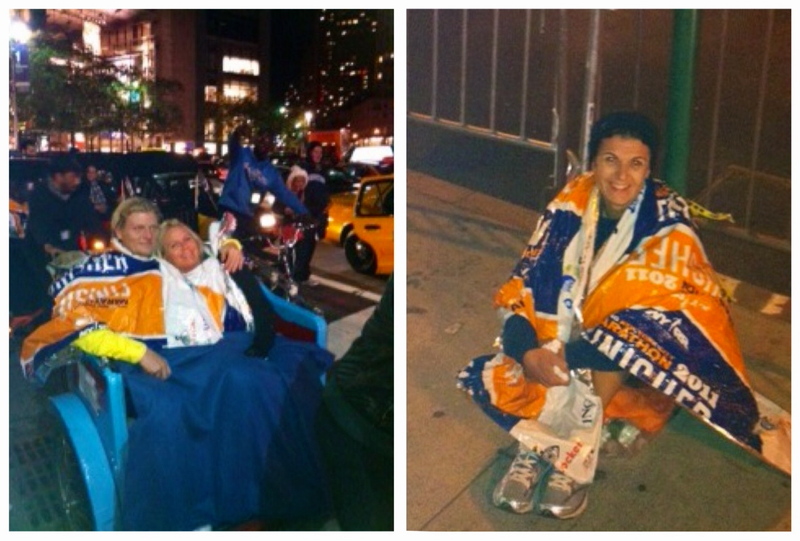 So how did it feel being in New York on the weekend of the New York Marathon and not running it? It felt FANTASTIC. Everyone, I met assumed I was joining and when I said no, they all thought I must be so envious. But I wasn’t. I was delighted to be in one of my favorite cities and to absorb the energy of the forty thousand plus runners who were all here to participate. Imagine a city filled with all this energy and positive vibes. And I was here amongst this rare group of determined and dedicated athletes, each with their own goal and stories to tell. 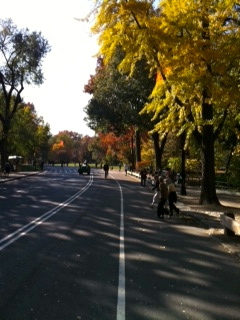 I ran in Central Park, the day before the race. This was a rare opportunity as I have never been able to run part of any race course I joined the day before the race. So there I was running through a medley of autumn colors, under the calming blue sky and amongst the rainbow sprinkles of runners donning the brightest and most vibrantly colored running gear. Then I found myself along the very last mile leading to the finish line. 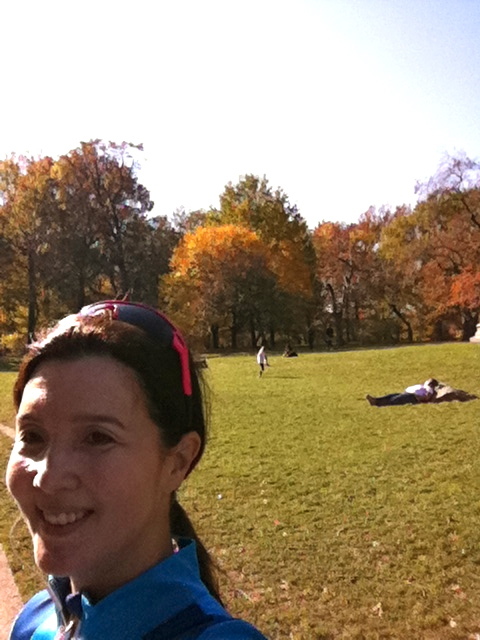 I closed my eyes and relived my 2006 first New York Marathon finish. I remember the exhilaration of knowing you are on your last mile, that you are about to finish the marathon of your dream. My legs were weary but my spirit was soaring. The New York spectators cheer you all the way but in the Park on your last few minutes on your feet, the cheering, the energy, your own excitement, they all roll into one source of strength that pushes you to the very end. 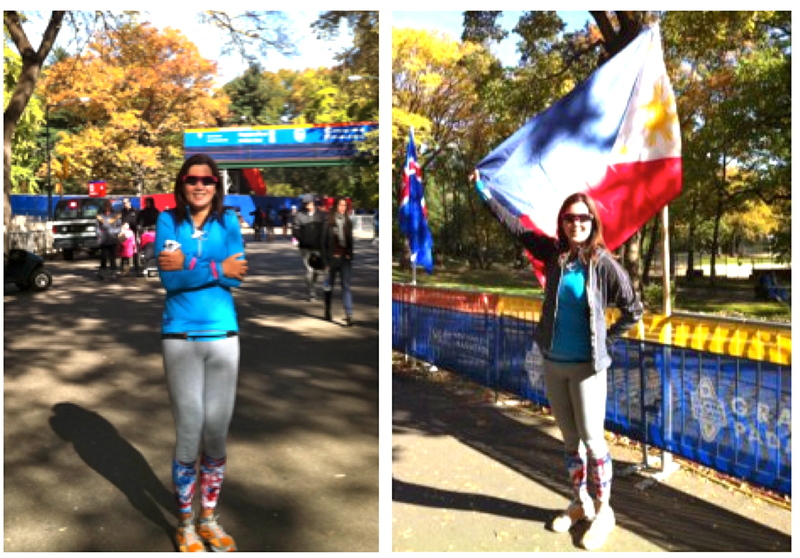 In 2006, I crossed the New York finish line with good friends, Fernando Zobel and Paul Casiño. 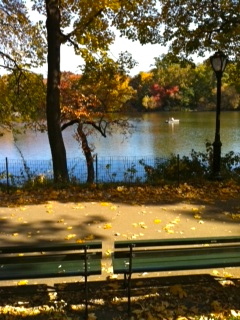 Today, I was alone running for just an hour in Central Park. But I relived it all without the months of grueling training required to finish a marathon decently. All you really need is to tap into your memory bank, pull out those wonderful memories and be in the right place to recreate the event. You can’t beat that. 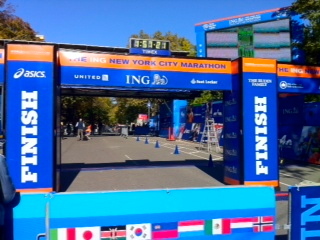 The day of the marathon, I watched the men’s and women’s winners race to the finish on the TV. Later that evening, some eight hours after the race started, I was walking along Columbus Avenue on my way to dinner with a friend and fellow environmentalist Blacksmith Institute founder Richard Fuller who does toxic waste clean-ups all over the world. The roads were still blocked and the sidewalks were filled with finishers wrapped in the trademark insulated blanket that shields you from the cold. What a sight! Again, I felt enveloped in much positive energy, almost as if I had run the marathon myself. Much later, around 8 pm, walking back from my dinner, I saw a few more runners. But they didn’t have the insulated wrap around them. They were not finished yet. They were still in the race after 10 hours on their feet. They were determined to cross that finish line. To all the Pinoy finishers, good job guys! I hope your New York Marathon experience is everything you had hoped for.